A civil society organisation, Socio-Economic Rights and Accountability Project (SERAP) has sent an open letter to all the Permanent Representatives of Member and Observer States of the UN Human Rights Council, Geneva urging their delegation ?to initiate and actively support the urgent holding of a special session of the Human Rights Council to address the ongoing killings of Nigerians and residents by suspected herdsmen and/or unknown persons in Nigeria, most recently in Plateau State where over 80 people were brutally murdered.? The organisation urged the Human Rights Council to adopt a resolution to ?condemn in the strongest possible terms the ongoing killings and revenge attacks on innocent Nigerians and residents by suspected herdsmen and/or unknown persons as well as the ongoing impunity enjoyed by suspected perpetrators and groups that have suggested these atrocities may be retaliatory killings.? In the letter dated June 26, 2018 and signed by SERAP Deputy Director, Timothy Adewale, the organisation said: ?The proposed measures are necessary because several calls by Nigerians asking the Nigerian authorities to end the killings and attacks have largely gone unheeded for far too long. The Human Rights Council cannot ignore persistent attacks and killings of Nigerians and residents. If the Human Rights Council does not assume its responsibility and give voice to the victims, it would exacerbate the impunity of perpetrators; continue to hide their victims; and deepen the invisibility of the killings and attacks to the comity of nations.? The organisation also urged the Human Rights Council to stand ready to take additional measures according to the evolution of the situation in Plateau, Benue and several other states across Nigeria, including recommending that the UN General Assembly, in view of gross and systematic nature of the killings and attacks, and the failure of the Nigerian authorities to end the killings, considers the application of the measures foreseen in paragraph 8 of General Assembly resolution 60/251 (which authorises the suspension of the rights of membership in the council of a member of the council that commits and/or allows gross and systematic killings, attacks and other grave violations of human rights.? The organisation expressed serious concern that to date, no credible investigations has been carried out to determine who exactly is responsible for the killings and attacks and put an end to the atrocities. The letter read in part: ?The Human Rights Council should invite the High Commissioner for Human Rights, the UN Secretary-General and special procedure mandate-holders, including the Special Rapporteur on the promotion of truth, justice, reparation and guarantees of non-recurrence and the Special Rapporteur on extrajudicial, summary or arbitrary executions, to brief it during the special session. ?Consistent with its mandate to prevent human rights violations and respond promptly to human rights emergencies, the Human Rights Council should address the ongoing killings and attacks by suspected herdsmen and/or unknown persons, their supporters and sponsors. 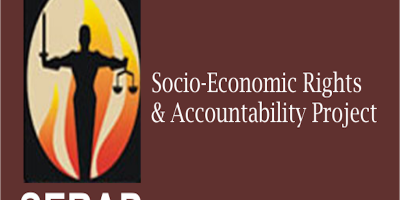 ?SERAP urges the Human Rights Council to at the proposed special session adopt a resolution that expresses its deep concern about the ongoing killings and attacks on innocent Nigerians and residents in several states of the Federation, most recently in Plateau and Benue States of the country. ?The Human Rights Council should demand that the Nigerian authorities end these killings and attacks as a matter of critical and urgent priority, including by immediately identifying suspected perpetrators and their supporters, sponsors, and by conducting thorough, impartial and independent investigations with a view to bringing those responsible to justice and providing victims with access to justice and effective remedies, including adequate compensation, satisfaction and guarantee of non-repetition. ?The Human Rights Council should request the High Commissioner for Human Rights to urgently appoint a group of independent experts to monitor, verify and report on the ongoing killings and attacks on innocent Nigerians and residents across many states of Nigeria, most recently in Plateau and Benue States, with relevant expertise in mass atrocity prevention, as well as in combating retaliatory attacks, with a view to making recommendations on preventing atrocities, combating farmers and herdsmen crisis, and improving the safety and security of all citizens and residents, as well as achieving accountability for the killings and attacks. ?The Human Rights Council should request the group of independent experts to prepare a preliminary report to be shared with the Human Rights Council by the High Commissioner for Human Rights and with the Security Council by the UN Secretary-General and request the High Commissioner for Human Rights to publicly report, on a regular basis, on the farmers and herdsmen crisis in Nigeria and to publish relevant information gathered by the UN country office in a timely manner, and regularly brief the Human Rights Council on developments. ?Thanking you in advance of your attention to these pressing issues. SERAP is available to provide your delegation with further information as required. ?